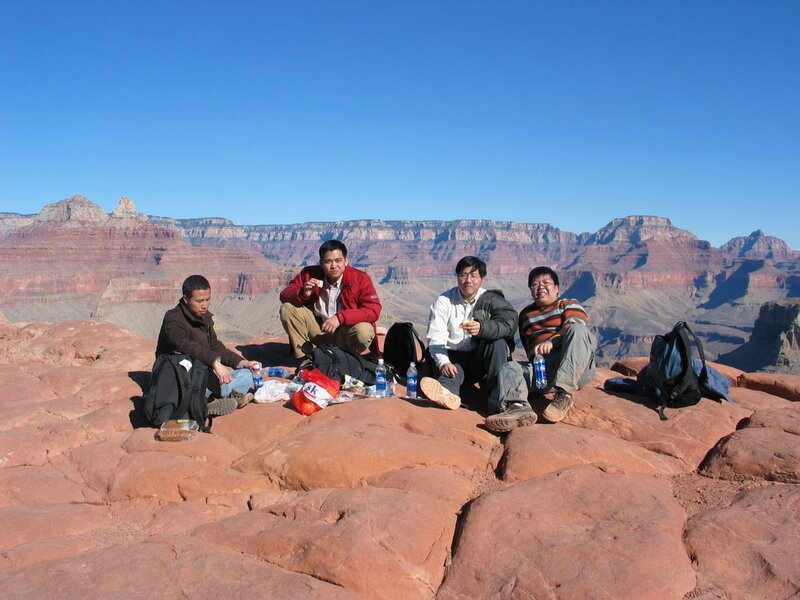 We traveled the Great Canyon in the weekend in January, 2006. It took us 6 hours to hike down to the Skeleton Point and back, since noon to the sunset. We are 5 guys. Two guys are from Taiwan, including me; others are from mainland China. We drove from Phoenix to the Grand Canyon National Park at Friday night. We rested in the inn. We enjoyed the sight of sunrise at Great Canyon and others trips.